According to an upcoming story in InTouch magazine, Jada and her Hawthorne co-star Marc Anthony may have a secret romance brewing. Jada Pinkett Smith Cheats on Will Smith? According to online reports, Will Smith came home earlier than expected only to find Marc and Jada alone in their home. The report goes on to say that Will had to leave the house because he was so upset. Both Will and Jada’s spokespersons have so far denied such claims. "Although we are reluctant to respond to these types of press reports, the rumors circulating about our relationship are completely false. We are still together, and our marriage is intact," Will and Jada said in a joint statement, issued to Access Hollywood. Personally I am hoping and praying that these are just silly rumors. I must also say that when magazines like InTouch report stories like this, there is a lot of instances when the story turns out to be true. There are a few cases when they are wrong and I sincerely hope that this is one of those times. Will and Jada are a solid Hollywood couple, and if it is true that Jada cheated on Will then I think there is no hope for true romance in Hollywood. 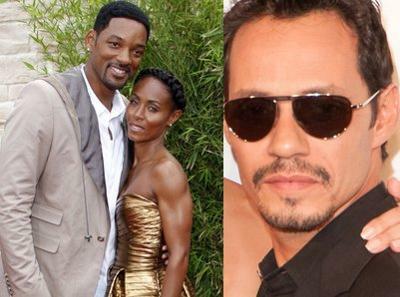 Did Jada Pinkett Smith cheat on Will? What do you think? I am sure you have your own thoughts when you hear about celebrity scandals. I will take it at face value when “they” say they are still a couple. Does it mean they are still a couple today at this very minute? Or does it mean that this story is completely fabricated and there is no truth to it. I guess time will tell. If it is true, this may be Will’s biggest test he has had in Hollywood.